Jill and Dave's wedding marks the first Seven Summits/Seafoam Films collaboration! 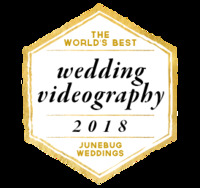 Seven Summits brought me in to attend and shoot the wedding, I transferred the footage to them, and they put together this edit! It is pretty cool to see their creative eye applied to the footage, and it was an awesome experience to work with them! Can't wait for future collaborations! This wedding was a really special one. Without ever having met Jill or Dave before, I was immediately caught up in their excitement and their comfort with however the day was to unfold. It was calm and warm and right before the ceremony, a magical purpley/orange cloud formed, filling the sky with an otherworldly glow. I was energized by the combination of this mystical light plus Jill and Dave's impressive ability to be so fully present and focused on each other on their wedding day. I found myself tearing up/always having a goofy smile across my face as I got lost in the emotion. You're welcome for that mental image. My favorite part of the day was during the ceremony, when Dave ran down the aisle to meet his Bride half way. It felt like I was witnessing a pure and unsolicited reaction to an overwhelming emotion; a genuine response to an intensely fleeting moment that couldn't be contained. And I am so glad it wasn't. Those moments, when emotion overcomes reason, those are the moments that I think we are truly living. Anyway, it was cool and stuff. Here's the video.